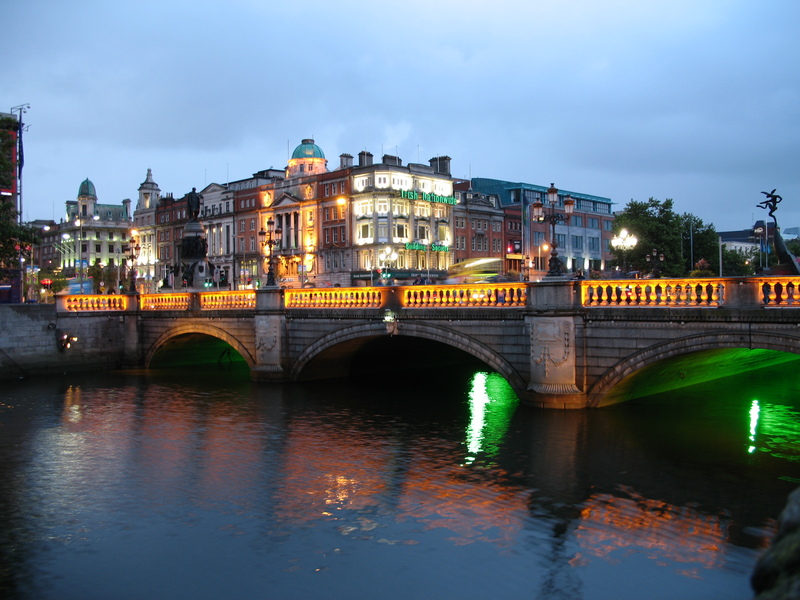 With a name like Michael Halloran, I thought it only fitting to give Ireland its due on St. Patrick’s Day by pointing out a few of the more exciting startups and established fintech companies in Ireland. Penny Owl is a modern, fintech startup founded in Ireland but with support from US as a graduate of the commerce.innovated startup accelerator from MasterCard and Silicon Valley Bank. A winner of Best Android App with partners like SF-based Common Sense media, I think Penney Owl will be a fintech success story. Datahug is a cool company, whose cofounder, Connor Murphy (no longer directly involved in the business) I had the chance to meet at Morgan Stanley’s London CTO Summit in 2013 and at a New York Enterprise Technology Meetup. It’s a CRM solution used by VC’s and other financial services firms. Once hailed as Dublin’s most promising startup, its product enables ways to measure the strength of personal relationships within and across companies using email, phone and other data. Datahug is expected to grow as a result of its partnership with Salesforce, which bought a stake in the company. Another exciting startup is Blackhawk Analytics that provides a cloud-based solution to enable firms to increase the efficiency of their banking costs and discover trapped cash. Information Mosaic is a third up-and-coming leader, focused on post-trade technology. It was just profiled in Banking Technology magazine in Jan. 2015. Barracuda FX is based at the International Financial Services Centre (IFSC) in Dublin and provides a next generation Order Management and Execution platform for FX, with a truly open platform. They compete with Broadridge, which just acquired Two Four’s FX platform (for which I negotiated a license for Morgan Stanley years ago). Fenergo is a Dublin-based award-winning provider of client lifecycle management, used primarily by large banks like BMO, State Street and Bank Leumi, although it can be used by other institutions. It’s raised $5m+ in funding to date. FINEOS is a private Dublin-based software firm, founded in 1993, with over 350 employees that serves the life, accident and health insurance industry across group and individual markets, with major market share in the US, and a global presence. Rockall Technologies is another Dublin software company, with a market leading position in collateral management (across wealth management, trade and wholesale banking). Its software is used by banks around the world, as well as by both Wells Fargo and First Republic Bank, here in San Francisco. Monex is a Killarney-headquartered data processing business that handles over €20bn worth of credit card transactions, and provides dynamic currency conversion for near real-time processing of card transactions. Galway-based Fintrax is another processor that was sold to private equity group Exponent last year for €170m. Fintrax processes credit card transactions and handles VAT refunds for a variety of businesses and has over 600 employees. Realex Payments is one of Europe’s largest and fastest growing online payment gateways, processing payments valued in excess of €28 billion per year for 12,000+ retailers across Europe. Based in Dublin, the company has 150+ employees. With my previous exposure to the FinTech Innovation Lab in New York and London, I was glad to see the establishment of a FinTech Innovation in Dublin in 2014 year, bringing Accenture and a consortium of banks to help foster fintech startups. There’s also an active FinTech Ireland Meetup for those that want to read up (or drop in if you’re in Dublin) on the latest. With so many Irish coming to San Francisco in the 19th century, it’s no surprise how many street names are Irish surnames, like O’Farrell, Geary and Kearny. Today, Irish-Americans like “super angel” Ron Conway, KPCB Partner Matt Murphy, and Bracket Computing CEO Tom Gillis are here in SF / Silicon Valley, along with Patrick and John Collison, the Irish brothers who co-founded Stripe. So the tradition of the Irish working in business and technology seems to continue to this day. Sláinte ague táinte! I’d like to thank Deirdre Moran of the IDA and Edel Coen of Enterprise Ireland for their help with this post. Posted on March 17, 2015 March 18, 2015 by Michael Halloran	This entry was posted in Uncategorized and tagged Barracuda FX, Datahub, Fenergo, Fineos, Fintrax, Monex, Penny Owl, Realex, Rockall, Ron Conway, Stripe. Bookmark the permalink.